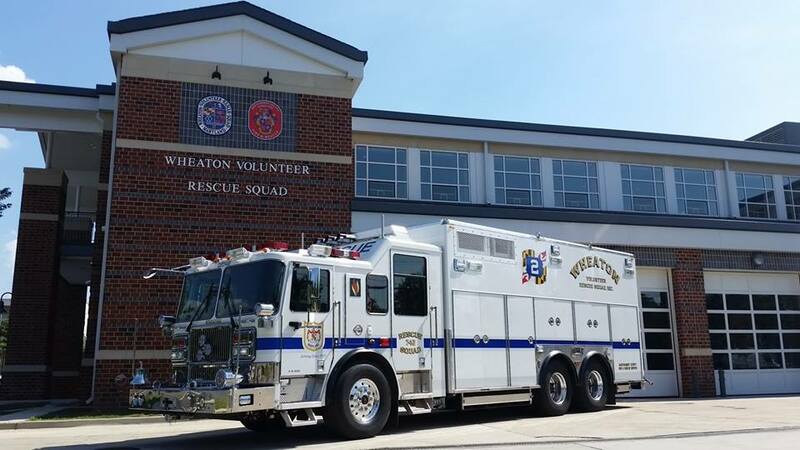 Today, the Wheaton Volunteer Rescue Squad (WVRS) placed its new heavy rescue squad truck, Rescue Squad 742, into service. While the WVRS is not located in Four Corners, units from Wheaton frequently respond to our community for a variety of EMS calls, traffic collisions, and structure fires. 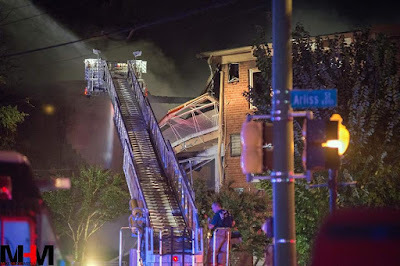 In particular, heavy rescue vehicles from Wheaton cover most of the downcounty area east of Rock Creek, including: Kensington, Forest Glen, downtown Silver Spring, Aspen Hill, Four Corners, and Glenmont. The new heavy rescue squad vehicle, Rescue Squad 742. 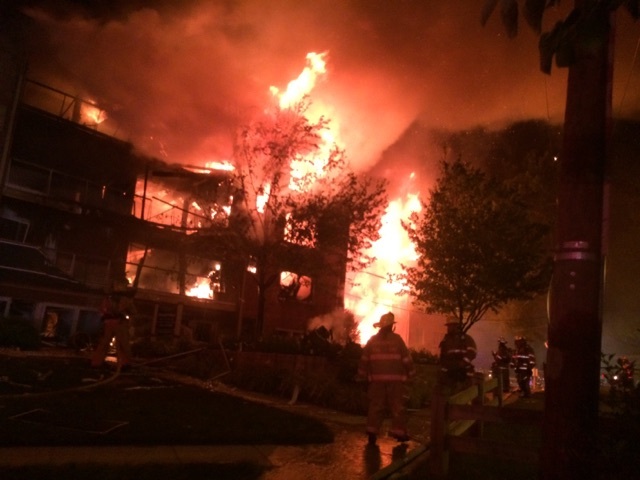 Photo from WVRS. The rig that was placed in service today is a heavy rescue vehicle, the flagship of the WVRS fleet. This rescue vehicle is technically a "firetruck", but it doesn't carry water or ladders like most fire apparatus. Instead, this truck is basically a giant toolbox on wheels. It carries a plethora of tools and equipment for dealing with a variety of rescue situations. Most notably, heavy rescue vehicles such as this one carry the "jaws of life", the hydraulic extraction tools used to free people from mangled cars. 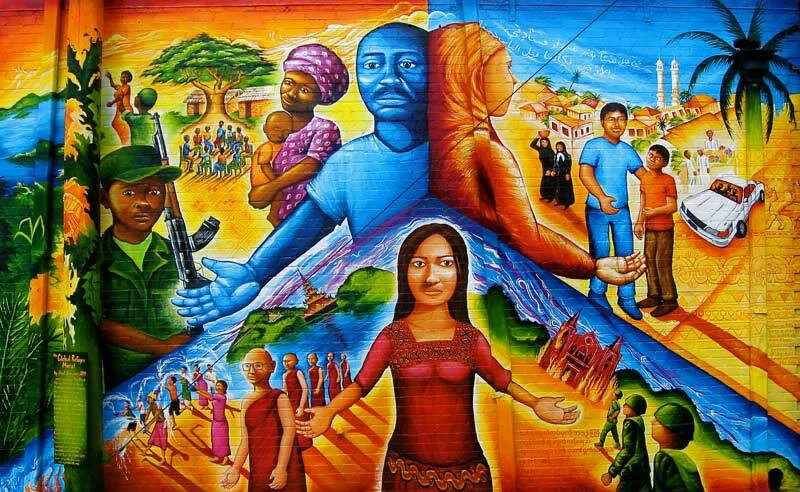 Is Four Corners in Silver Spring? Most local residents would say yes, but the US Census Bureau says no. 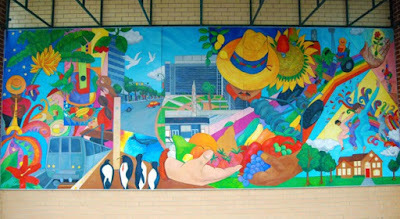 Prior to the 2010 US Census, the Census Bureau had Four Corners as part of the Silver Spring census-designated place (CDP). For some reason, they made Four Corners its own place in 2010, roughly comprising of Woodmoor, North Four Corners, and South Four Corners. Indian Spring and the neighborhoods inside the Beltway remained part of the Silver Spring CDP. 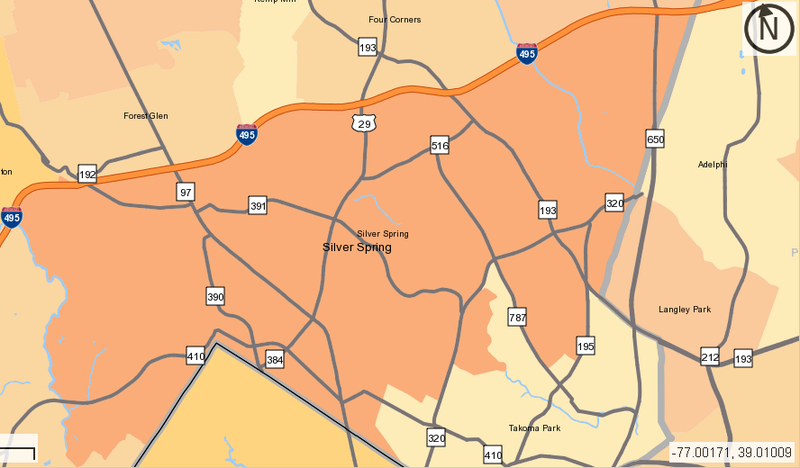 The Silver Spring CDP (dark orange) in 2010, with most of Four Corners left out. Image from Wikimedia Commons. I decided to revisit the topic after reading Dan Reed's blog post about what areas people view as Silver Spring. He and Christy Batta polled 66 people and asked them where they though Silver Spring was. Of the respondents, 23 of 66 said Silver Spring is "entirely inside the Beltway", which is the correct answer according to the Census, but it's not that simple. 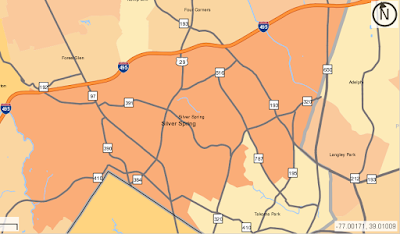 Most Four Corners residents would consider Four Corners to be in Silver Spring, although the Census Bureau views much of Four Corners as independent of Silver Spring in its latest census. So what's going on here? The topic of "where is Silver Spring?" is fascinating to me. First of all, it shows that few people know or care about census-designated places (CDPs), which give borders to all unincorporated places in America, but the question is an interesting social phenomenon as well. I wrote on this topic over two years ago, but let's delve a little deeper into the relationship between Four Corners and Silver Spring. Adjacent to Pine Crest Elementary School in the middle of Woodmoor, there are about 2.1 acres of unused wooded land, between the school and the backyards of homes Hillmoor Drive. The land seems to have been empty since the neighborhood was built, and before Pine Crest was reconstructed in the 1990's. It is not part of nearby Pinecrest Park, and it appears to be owned by MCPS. Could part of this land be made into a dog park? Looking towards Woodmoor Drive from the wooded area next to Pine Crest. All photos by the author. Occasionally, there is some kind of event on the property, such as an Easter egg hunt, but the partially wooded nature of the land makes it unusable for most types of recreation. The sporadic trees and rolling hills make it difficult play any kind of sport, but there aren't enough trees for it to be fully wooded either (like Northwest Branch). For these reasons, most people just use this area as a shortcut to Pinecrest Park from the front of the neighborhood, but no one spends much time on the property because there's nothing to do there. Yesterday evening my dad and I attended a Silver Spring-Takoma Thunderbolts baseball game. The Thunderbolts were playing the Gaithersburg Giants in the first round of the playoffs in the Cal Ripken League. While the Thunderbolts have played at Blair Stadium here in Four Corners since 2002, I somehow hadn't attended a game until tonight. I'm very glad I did, since it was a great experience. The Thunderbolts banner along the fence of the bullpen. All photos by the author. The Silver Spring-Takoma Thunderbolts are a wooden bat collegiate baseball league. They are a charter member of the Cal Ripken League, where they play against teams including the Bethesda Big Train, the Rockville Express, and the Gaithersburg Giants. The team consists of college ballplayers who play in the summer to keep their skills sharp, and ideally, to get noticed by MLB scouts. Players are recruited from colleges across the country in the fall prior to the summer season, which runs from early June to late July. Players from outside of the D.C. area live with host families for the summer while they play for the club, in a similar manner to exchange student programs. During the seven week season, the team plays nearly every day, similar to the schedule of a prop team. The season also includes an all-star game during the first week of July, in which several Thunderbolts participated. If you've ever driven to the College Park Ikea on the Beltway from around here, you've used the ramp from I-495 to U.S. Route 1 north. While that cloverleaf ramp in College Park may seem mundane, there is something interesting about it. Despite the presence of a generous merge lane from the ramp onto Route 1 northbound, many drivers stop at the top of the ramp, and most slow down significantly. Why slow down (or stop) if there's plenty of room to merge onto Route 1? Why not just continue at 30 or 40 MPH off the ramp and onto the road? This seemingly inconsequential highway off-ramp can teach us quite a bit about pedestrian safety at highway interchanges. The ramp where it meets Route 1. Despite the merge lane, most drivers stop or slow down before entering Route 1. Photo by the author. The reason so many drivers stop or slow down as they exit this ramp onto Route 1 is the angle at which the ramp meets the road. In the mid-2000s, as part of the Ikea project, the State Highway Administration (SHA) wanted to create more merge room for motorists merging northbound onto Route 1 from the Beltway, to both improve access to the store and improve traffic flow on this part of Baltimore Avenue. Last week we wrote about Indian Spring Village, a subdivision that comprises about half of the Woodmoor neighborhood. This week, we'll look at some of the smaller subdivisions that are also part of Woodmoor. 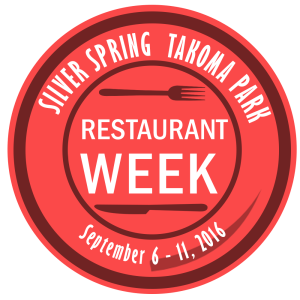 There are five of them: Indian Spring Highlands, Indian Spring Knolls, North Takoma Highlands, Warrenton Village, and Franklin Knolls. Each one is shown on the interactive map below. The Montgomery County Planning Department is working on a new countywide bike plan. It's an ambitious plan that seeks to make biking in the county safer, and more importantly, comfortable. It's great for things to be statistically safe, but if a bike facility isn't comfortable, only the most confident cyclists will use it. Currently, Route 29 is the farthest thing from a comfortable bike facility. I've cycled in the right lane of Colesville Road before on the segment pictured below, and it was a near-death experience. Route 29 is labelled as a "high stress" biking environment on the Montgomery County Planning Department's Bicycle Stress Map, while local streets are labelled blue for "low stress". Route 29 is one of the few paved crossing of Northwest Branch in eastern Montgomery County for vehicles and pedestrians, as the next nearest crossings are miles away. This makes Route 29 and important bike connection between Silver Spring and points north, since there are few other ways to cross the creek if you're trying to keep your shoes dry. What if there were a safer path paralleling Route 29 (while not being right next to it) which cyclists, joggers, and pedestrians could use to traverse this part of the corridor in comfort? I have an idea for such a path across land that is already publicly owned, which I have drawn on the map below. This post will be a description of the proposed route and my reasoning for choosing it. I live on Williamsburg Drive in Woodmoor. 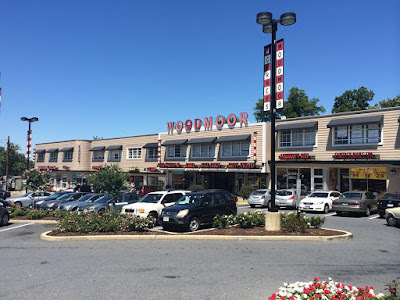 At the entrance to this side of the neighborhood where Williamsburg meets University Boulevard, there's a nice sign that reads "Woodmoor", so that everyone knows the name of the community they are entering. There are similar signs at Crestmoor & Colesville and Lexington & Pierce (and the stone sign at Woodmoor Circle & Colesville). 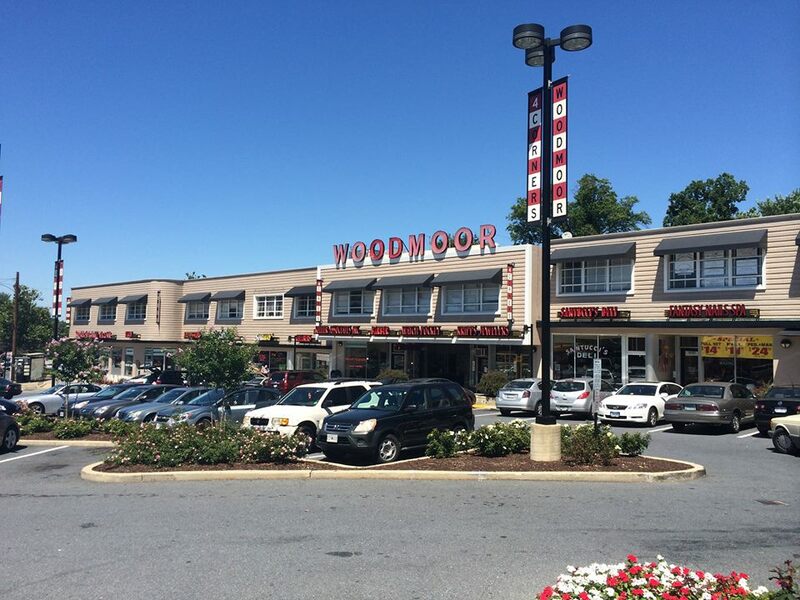 Woodmoor sign at the entrance to Williamsburg Drive. Photo by the author. The only problem is that this side of Woodmoor isn't actually in Woodmoor. At least it wasn't intended to be by those who built the subdivision. I live in the subdivision of Indian Spring Village, as does anyone else who lives in the area bordered by University Blvd, Saint Lawrence Drive, Northwest Branch, and Whitestone Road (this includes most, but not all, of the homes lining Saint Lawrence). See the map below for reference. Map of Indian Spring Village from the Maryland Historical Trust, with properties of interest noted. Click photo to enlarge. The current neighborhood of Woodmoor is actually made up of several different subdivisions built by various developers over the course of ~20 years. Indian Spring Village is the second largest of the subdivisions that now comprise Woodmoor, with the largest being Woodmoor itself (which includes everything north and west of Hillmoor Drive). Indian Spring Village was one of many "Indian Spring" named subdivisions built around Indian Spring Country Club, with other examples being Indian Spring Terrace, Indian Spring Club Estates, and Indian Spring Manor. Most of these Indian Spring-named subdivisions are now inside the Beltway in the neighborhood just called "Indian Spring". The name of the adjacent country club was used in many subdivisions because proximity to a golf club added a sense of financial security and prestige to buyers. Hello Everyone. After about a year of being inactive, Around The Corners has returned. As many of you may know, most blogs that die-out do so because the author has difficulty finding time to write posts. That's the reason this one went inactive for almost a year (my reason: finishing college). Now that I have recently graduated from college; I once again have time to blog regularly. Blogging can be a time-consuming process (especially writing high-quality posts), but I am committed to keeping this blog going for largely the same reasons that I started it: no one else is blogging about the Four Corners area with regularity. My friend Dan Reed has kept Just Up The Pike going for a remarkable 10 years, which is a true accomplishment. His blog is currently the only one that covers the Route 29 corridor here in eastern Montgomery County. As great of a job as he does, no one blog can effectively cover such a large "underblogged" area. Aside from that reason, I am resuming the blog because it's fun. I enjoy writing about this area, and I like the feedback I get from neighbors who appreciate what I do (and apparently some of my former St. B's teachers read this, which is cool).